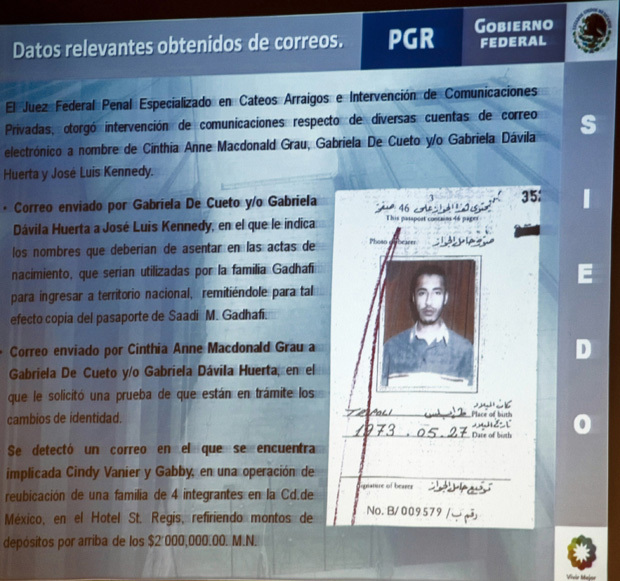 When the Canadian Cynthia (Cyndy) Vanier was arrested in Mexico City on November 10th, 2011, on suspicion of being the ringleader in a plot to smuggle Saadi Gadhafi, the third son of fallen Libyan dictator Muammar Gadhafi, to Mexico, officials had a key piece of evidence that would support their decision to keep her in custody before charges could be laid: a forged voting card. Ms. Vanier claims no knowledge of how the card came to be in her possession, other than that it was in a wallet that had been given to her by a friend of her co-accused, Gabriela Davila Huerta. Davila Huerta comes from a well-connected Mexican family, and was the person that Ms. Vanier employed to subcontract the jet she used to travel to North Africa in July, 2011, on a fact-finding tour financed by Canadian engineering firm SNC-Lavalin. Who was this other person? We don’t know. Her first name was “Berta”, and her husband was “Ed”. In fact, it is likely that "Ed" is "Ed Nunez", who is Christian Esquino, the man that Ms. Davila Huerta, also known as Gabby de Cueto, used to source the aircraft in Mexico. Mr. Esquino was detained by Mexican authorities on Saturday, March 17th, and is a key witness in the case. Strangely, the name on the forged card was “Cinthia Anne Macdonald Grau”, which miss-spells Ms. Vanier’s first name: it is Cynthia, though Ms. Vanier often goes by Cyndy. It also gets her middle name wrong – it is “Ann” not “Anne” – and uses a version of the Mexican custom of maintaining a person’s metronymic (though MacDonald is Vanier’s maiden name, not her mother’s). As for “Grau”, one can only guess. Her complete name as shown on her birth certificate is “Cynthia Ann MacDonald”. As well, the finger print on the card is not hers, and it is not her signature. Ms. Vanier claims not have used her maiden name for decades. Her previous husband’s last name was “Elder”. The email account the Mexican authorities are using as evidence that Ms. Vanier was in possession of stolen documents used the name “Cinthia Anne Macdonald Grau”. This can be seen clearly in the image provided below from a February 1 news conference given by Mexico's Attorney General's office (PGR). As well, the passport shown above has never been presented physically, but only as a scanned document. The Arabic script appears to be hand written. The National Post has reported that this is a forged Libyan passport. 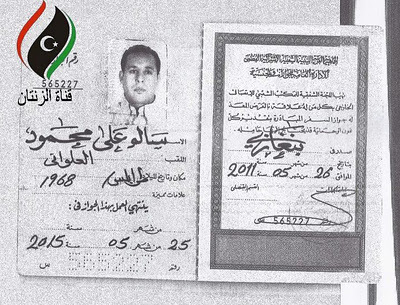 However, the image below, of a forged Libyan passport for Abdelhakim Belhadj, the governor of Tripoli, who attempted to leave Libya under a false name, indicates that the Mexican example is likely not a Libyan passport. Ms. Vanier was also a victim of attempted fraud. In September she went to a Bancomer branch in Mexico City, and opened an account using her passport. At that time she enquired about a mortgage on the property she was to buy in La Cruz, on the Pacific Coast, just up the road from her condominium in Bucerias. Bancomer is Mexico’s largest financial institution. At a later date she provided the bank with a flash drive with copies of her passport, BMO bank records, a letter from her bank manager, a copy of her marriage certificate, and a purchase contract for her condo in Bucerias, known as the Velmar. Bancomer was offering a 12% mortgage rate, which Ms. Vanier balked at. As a result of a discussion with Davila Huerta, a meeting was then set up for November 10th – the day Ms. Vanier was arrested. In fact, on the day of the meeting the bank manager was not there, so Ms. Vanier and Ms. Davila Huerta left. Only a few hours later Ms. Vanier was arrested. Allegedly, an application at Bancomer for a mortgage under a different name and using a different signature was also made for the La Cruz property. That name was Cinthia Anne Macdonald Grau, the same as on the fake voting card, and included photocopies of a Mexican passport and birth certificate under those names. There are no charges pending with regard to this false application, but SEIDO – the investigative arm of Mexico’s Attorney General’s office – is using the documents as evidence. Clearly, however, Ms. Vanier never signed any mortgage application with any Mexican bank, and never produced any hard copy documents other than her Canadian passport. Most disturbing, when signing in to see Ms. Vanier at the detention centre in Mexico City, incorrect versions of her name were used, such as “Cindy”, “Cinthia” and “Grau”. This suggests that the Mexicans were considering versions of the false identity to be Ms. Vanier’s real identity. The authorities do not seem to have asked a few very simple questions: if Ms. Vanier were attempting to assume forged documents in her name, why would she use a convoluted hybrid? Wouldn’t she assume a “new” name, or keep her own correct identity but with new documentation? And what person in their right mind has an incorrect finger print and incorrect signature on a piece of identification they are trying to pass off as their own? In other words, by all appearances this is not a case of Ms. Vanier attempting to acquire a Mexican identity, but of a Mexican ineptly attempting to assume Ms. Vanier’s identity. And, given that this incorrect information was being used by Mexican officials at the detention centre in Mexico City, it looks like they might be implicated in the forgery. First, it is important to understand that Ms. Vanier was moving a lot of money through her accounts. In an upcoming post we will discuss the financial aspects of this story in more detail, and will provide as-of-yet unpublished information, but for now, suffice to say that the amounts in the two publicly reported invoices by Ms. Vanier to SNC-Lavalin – one for $100,000, which was paid, and the other for $395.500, which is outstanding – are not the full amounts. There was almost certainly significant pass through from SNC-Lavalin of larger amounts, and these would have been seen by the officials in Mexico, because they had access to her information from her Canadian bank, BMO. This could have provided opportunity for attempts at fraud, and also raised suspicion from “legitimate” law enforcement. Second, it is important to realize that once a Mexican official, or officials, believes that a person is up to some hanky panky, they can then feel it is within their right to help the case along via what we’ll politely refer to as “extra-judicial efforts”. Creating and planting false documentation to secure an arrest simply makes sense. 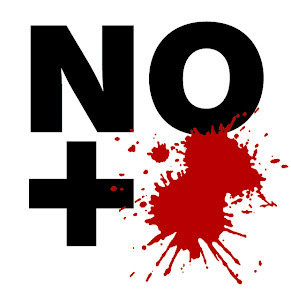 The Mexicans already had a tip off from Anonymous, the leaderless group of Internet hackers, claiming that there were fake Gadhafi passports, and that these were tied to Ms. Vanier and Ms. Davila Huerta. Planting evidence simply speeds the process along. In fact, on occasion Mexican authorities will go to ridiculous lengths to arrest people and make themselves look good. Take the absurd case of the French woman Florence Cassez. Ms. Cassez was arrested at the end of 2005 with her boyfriend Israel Vallarta. The two were detained overnight, and then moved to Vallarta’s farmhouse in the early hours of the next day. Mexican Federal Police “tipped off” some journalists, and staged a fake arrest, which they video-taped. The footage was splattered all over Mexican television, showing the faux heroics of Mexican police. Pathetic as that story is, the Mexican media has done a decent job of exposing the irregularities and inconsistencies in the Cassez case. They don’t argue her guilt or innocence, but simply say that the legal process is so flawed that the rationale for detention cannot be sustained. In La politica’s opinion, that appears to be true of Cynthia Vanier, as well.